The Breath of the Wild Champions are one of the game’s high points, in part due to their incredible voice actors. These voice actors have gathered at Salt Lake Gaming Con, and Zelda’s voice actress herself posted a group photo to her Twitter account. However, what seems to be quite incredible about the shot is the group is arranged according to a rather good fan art. 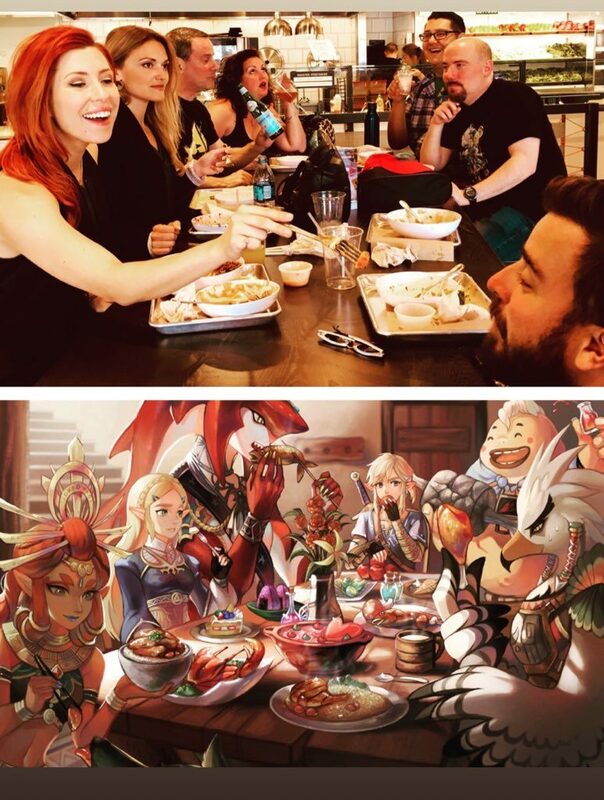 In it, the modern day leaders and those who help Link access the Divine Beasts are dining with Zelda, while the group meal shot seems to have both the Champions themselves and the descendants. This also marks the first public appearance of the entire group at once. It’s always really awesome to see things like this. The Champions were probably my favorite aspect of the game, and how their descendants came together with Link in the main game to free their spirits from the Divine Beasts. Now their voice actors have gathered in one spot, somewhat of a gathering of heroes, if you will. What do you think of the gathering? 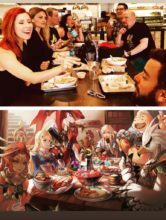 If you are at Salt Lake Gaming Con, have you met any of them? Let us know down below!